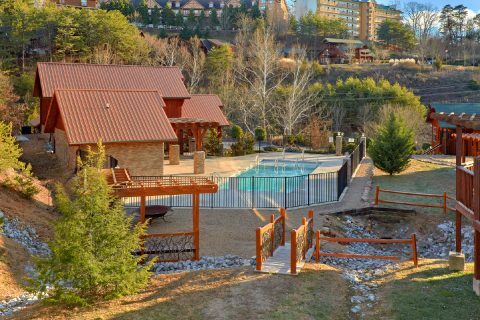 Come experience "Almost There" for your Smoky Mountain vacation! 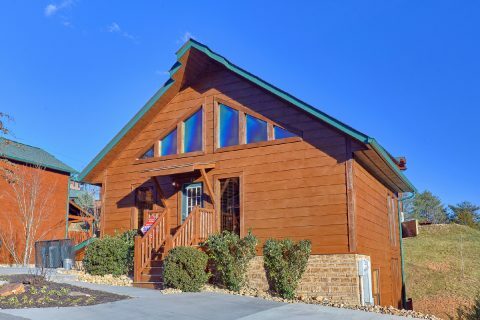 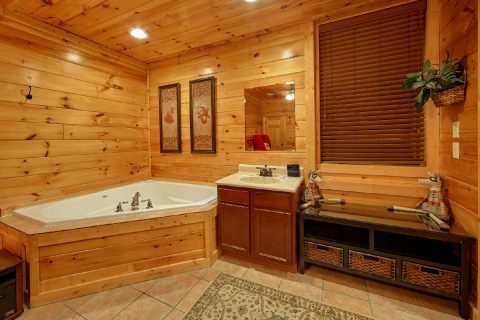 This beautiful 2 bedroom cabin in Pigeon Forge rests only a mile from the action-packed Pigeon Forge Parkway, so it's the perfect rental for visitors who want to stay close to local attractions. 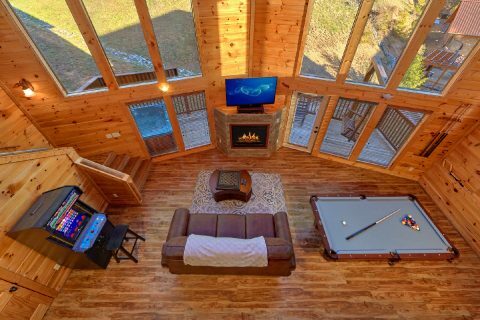 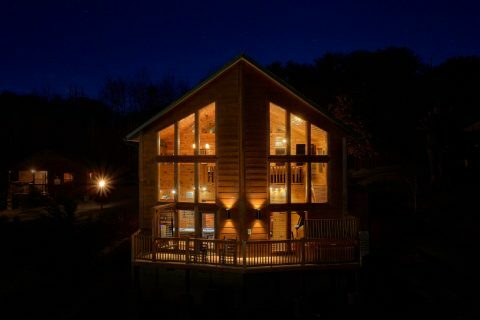 With top sights like Dollywood, The Old Mill, and The Island only a short drive away, this luxury cabin is perfect for exploring the top sights in Pigeon Forge. 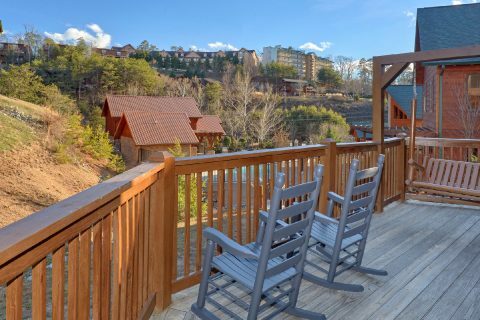 When you aren't busy experiencing the best the Smoky Mountains have to offer, you'll love relaxing at this premium rental that has everything you need to unwind. 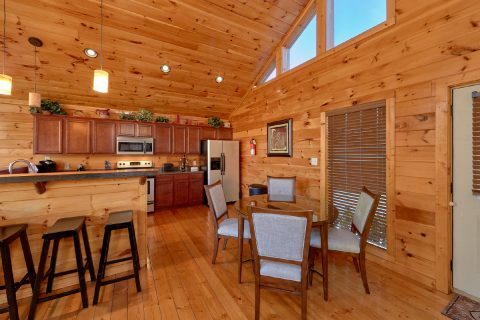 As soon as you step into your cabin, you'll be glad you booked a quality rental for your vacation. 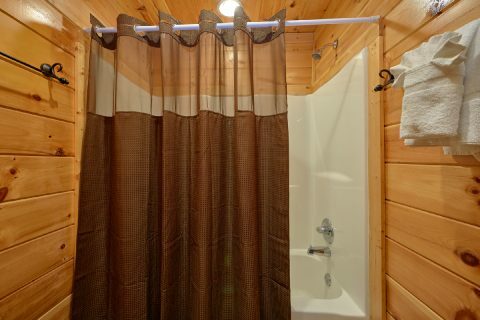 This recently remodeled cabin offers new furnishings throughout, so you can be sure you'll enjoy a comfortable stay. 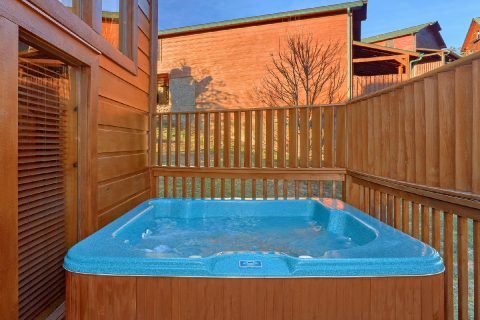 As an added perk, this Bear Cove Falls cabin provides access to a nearby outdoor resort swimming pool, so you can enjoy a refreshing swim during the warm summer months. 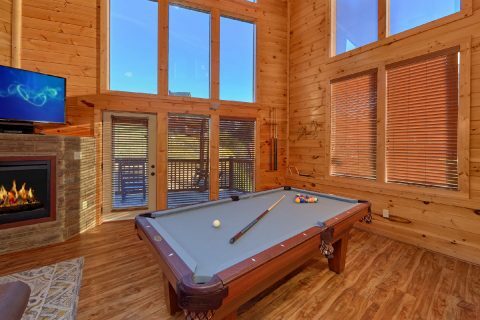 On the main level of "Almost There", you'll find an open floor plan living room and kitchen area with large picture windows. 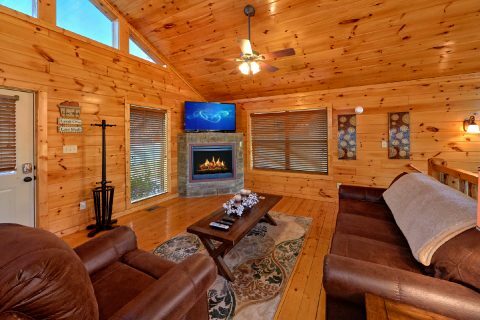 The living area boasts furnishings, an electric fireplace, and a 55" HDTV with a DVD player above the mantel. 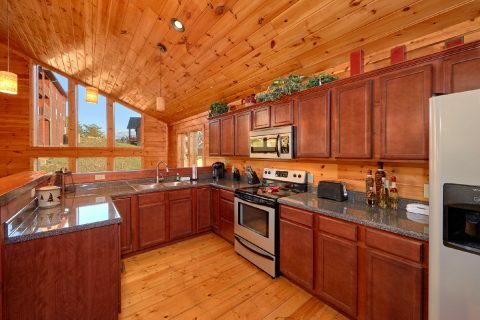 In the nearby kitchen with a breakfast bar, you'll find everything you need to prepare delicious meals including a crock pot, Keurig Coffee Maker, and a griddle for the stove. 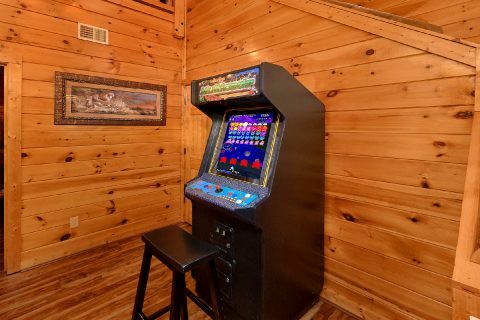 For some in-cabin entertainment, you can head downstairs to the game room that comes complete with a pool table and an arcade game. 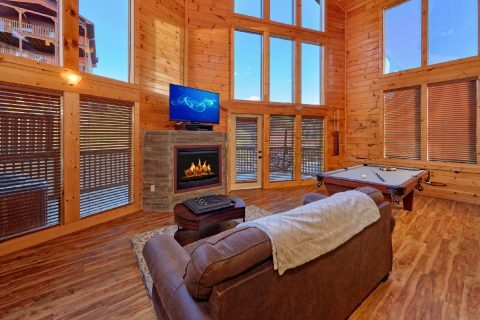 Additionally, this room boasts another electric fireplace and a 55" HDTV with a DVD player. 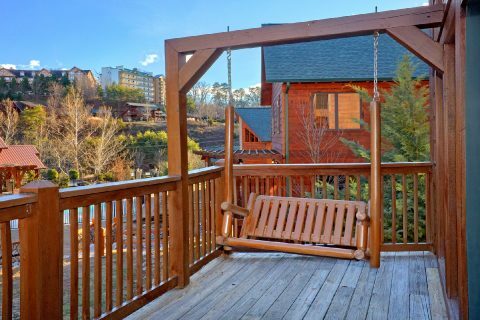 From here, you can step outside onto your cabin's deck that boasts a hot tub, porch swing, and rocking chairs. 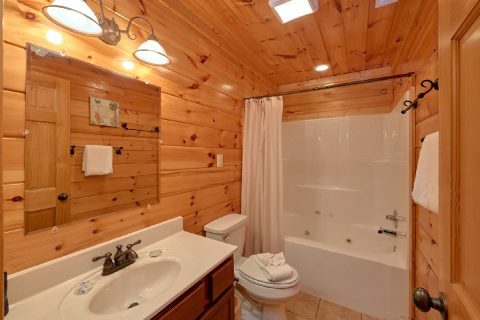 This floor is also home to your luxury cabin's two bedrooms. 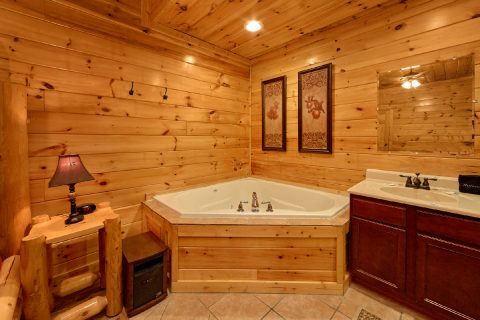 The master suite boasts a king bed, a 32" HDTV with a DVD player, a private jacuzzi tub, and a full bathroom. 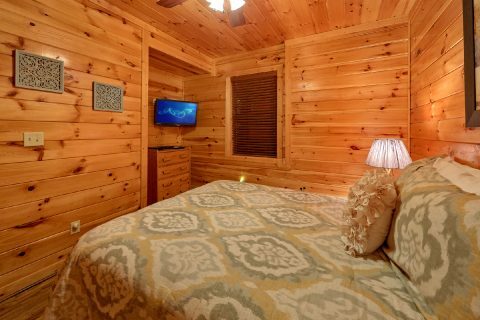 The 2nd bedroom provides a queen bed and a flat screen television with a DVD player. 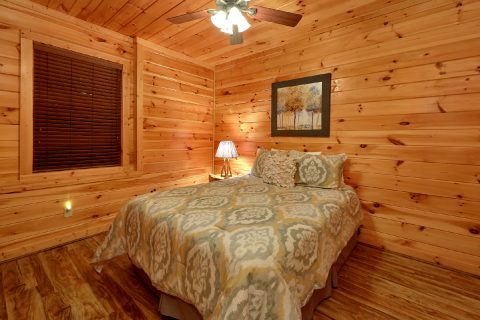 Lastly, this cabin provides 2 comfortable sleeper sofas with memory foam mattresses. 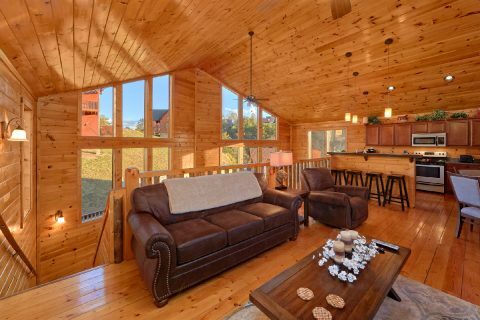 Altogether, this rental sleeps 8 guests in comfort. 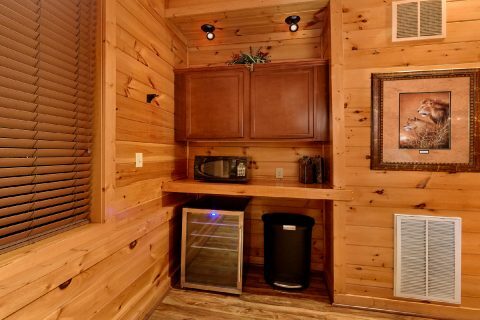 Lastly, this rental comes with practical features like an outdoor charcoal grill, a washer & dryer, WiFi Internet, and parking for 3 vehicles. Book "Almost There" today with Cabins USA to earn a special 15% discount on your nightly rate!